After two weeks on the road, visiting some of the world’s great geologic wonders in Utah, I had to swing back by New Mexico to wrap up a few loose ends. While spending a few days near Taos, I met up with a friend near Tres Piedras to hike around the massive pink granite boulders that give this little village its name: Tres Piedras means “three rocks” in Spanish. 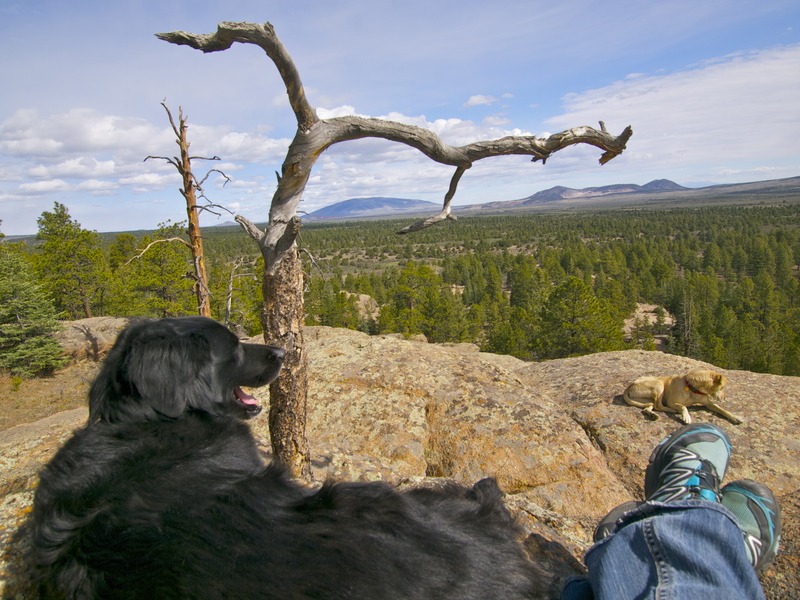 After spending the night at a great free campsite on BLM land, we hiked over to the rocks and spent the morning circling the outcrop, looking for a dog-friendly route to the top. Between my friend Ed and I we had six dogs! Only in New Mexico can you get away with hiking with six off leash dogs! From the summit we spotted a small pond a half mile away to the north. 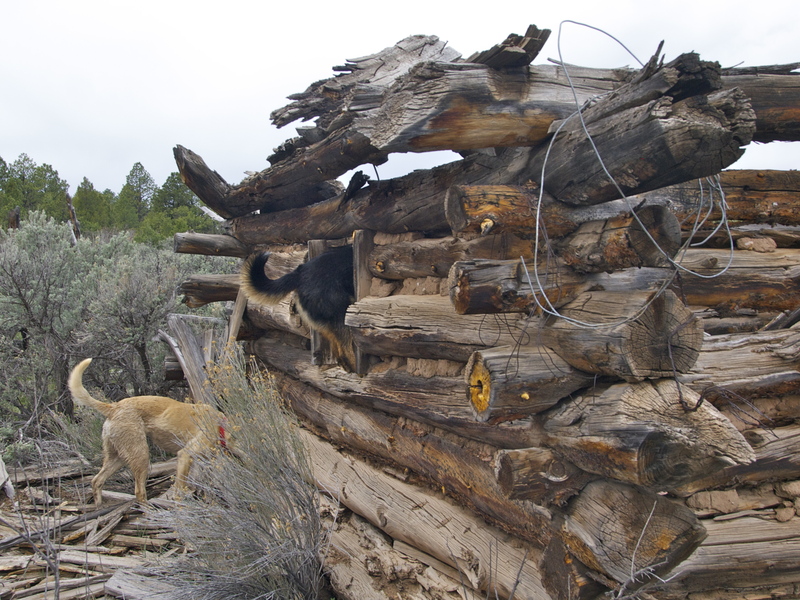 Wanting to give the dogs a swim we headed cross country for the pond and found ourselves hiking through a bit of wild west history. 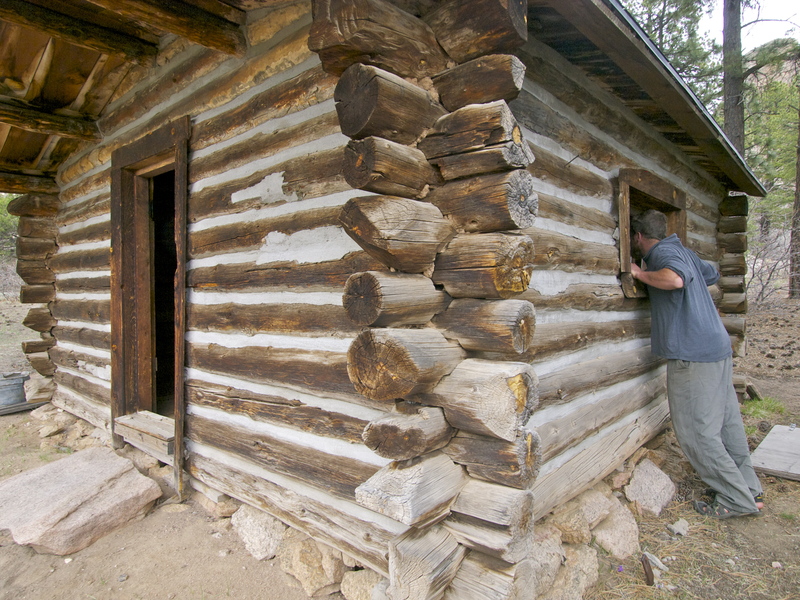 In the lowlands below the rocks, near a series of springs, were no less than six turn-of-the-century cabins! 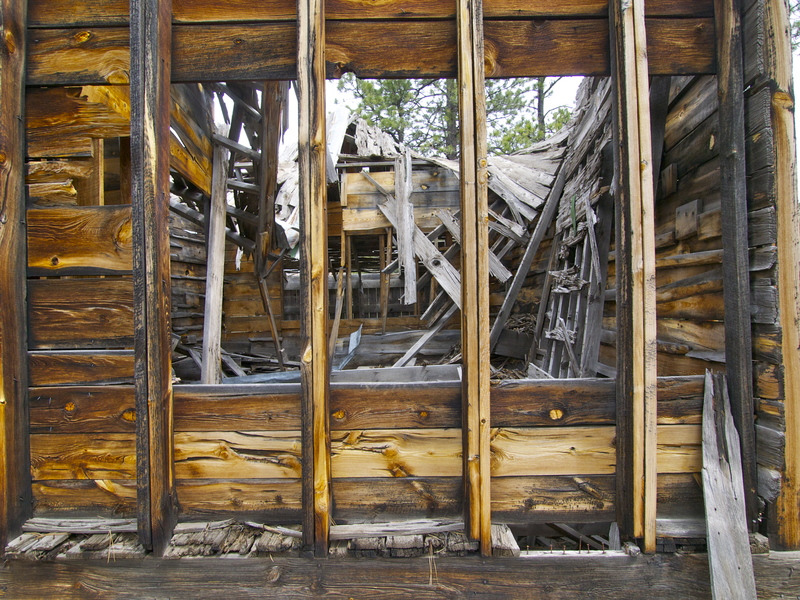 Old Barn, Beautiful Weathered Wood! 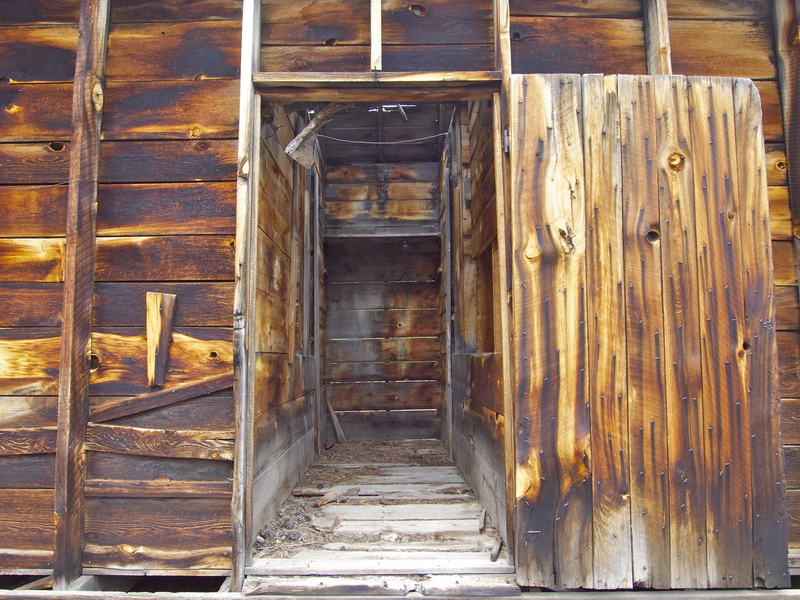 This cabin was in by far the best shape. Install a door and you could move right in! This is what I love about New Mexico: you never know when you’re going to stumble upon treasure. We spent all morning exploring these ruins, speculating about what it might have been like to build these cabins, by hand, sourcing all the wood on site and then live here, tending cattle (I assume) miles from everybody and everything. Like all ruins, these had such life, such history. How long did they stay? Why did they leave? Where did they go? Could somebody someday come back? Ed has his own cabin dreams; I hope he makes them come true. 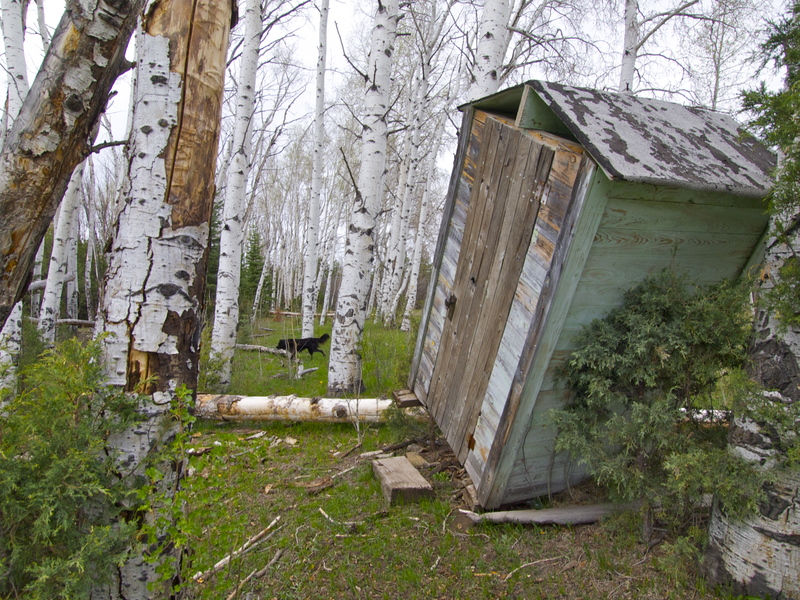 Leaning outhouse in an Aspen grove. My favorite find of the day! Goodbye, for now, New Mexico! I’m on to Colorado! 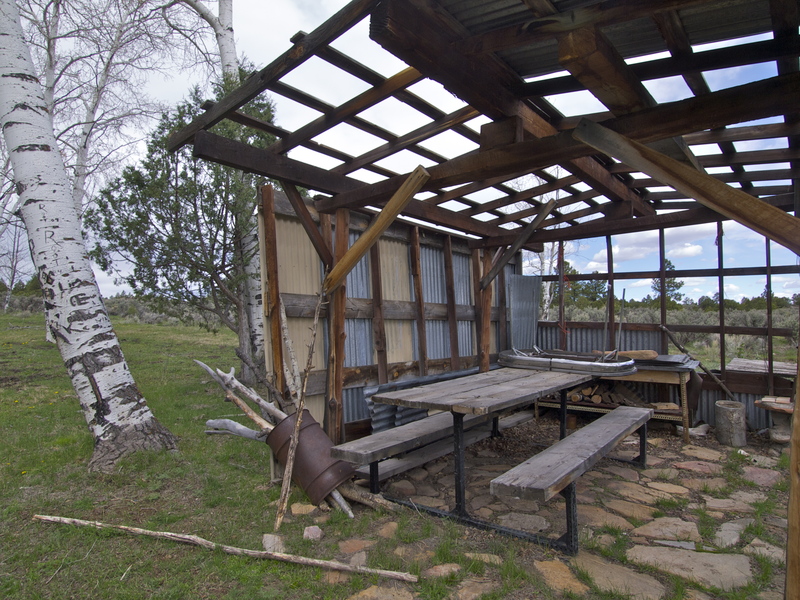 This entry was posted in Bowie & D.O.G., Hiking!, New Mexico, Photography, Road tripping!, Sustainable Living. Bookmark the permalink. Me too! I love the faded green paint. I have just discovered your blog and love it. Great pictures give me a chance to see areas I’ll probably nerver be able to explore myself. Thanks! We have a few of those old cabins but on the beach here in Crete.Really love your blog posts. What a wonderful life you have full of adventure. But I appreciate you to walk miles.Good luck. Look forward to more of your travels. I lived near there for a year and a half, and climbed at Tres Piedras regularly. Beautiful place! 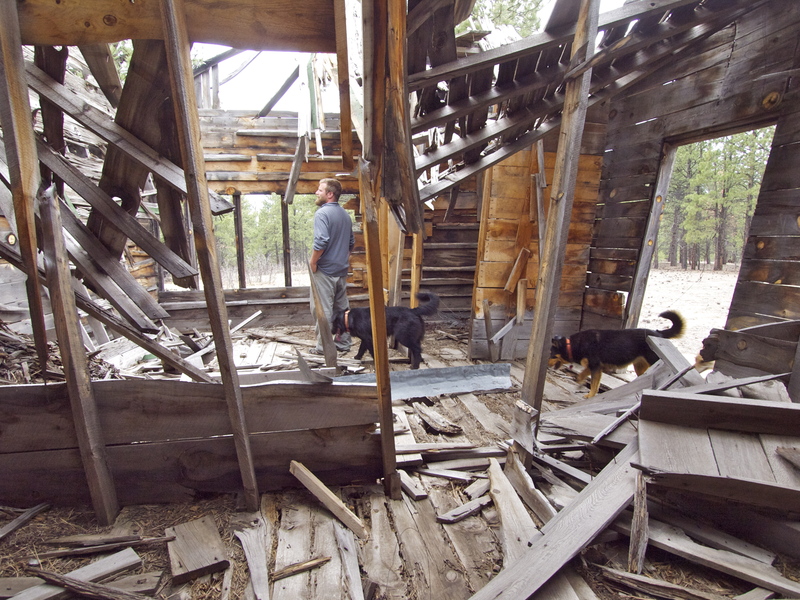 Local legend is that Aldo Leopold lived in those cabins during his time working for Carson National Forest, before he was named Forest Supervisor and had his own house build in the town of Tres Piedras. I like Muir and I found Leopold while reading Muir! Interesting legend, thanks. my imagination soars with all the wondering s of who built them and what took place there ….Thank you for sharing!!! I tend to touch old structures like this and clse my eyes and wonder about who built them. It somehow connects me to history. Very cool find! Hey great blog here…I found you from the Tiny House Blog. I have a guest article there. I also am a writer and Photographer, in addition to my regular work. Most of my writing is done for a home improvement web site … Networx.com. Some of my articles have been picked up by other media outlets. I’m a bit envious of your nomadic life…had I learned about “the tiny house phenomenon” when I was your age I very well may had been pioneering may way about the country too. We have our cabin about 3 miles south of Tres Piedras, for now it is just a getaway location, our longer term plans are to retire down there. You can follow its progress at my blog pages.